Cutting Edge Conformity: Are movies turning into homogenized soft cheese? 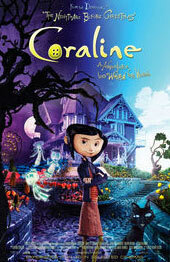 Interesting article at Variety by Henry Selick, director of Coraline and The Nightmare Before Christmas. He feels everything is becoming homogenized, and he's not paranoid. A recent article at Slate alleged that Hollywood is now following a film cookbook called Save the Cat by Blake Snyder. The cheeky article even uses Snyder's structure as the framework for the article. With profit margins down due to the collapse of DVD sales, studios are getting more conservative. Writer Lynda Obst goes further and claims Hollywood is now completely broken. Even Steven Spielberg has sounded the alarm. Seems like everybody is talkin' about it. Animated 3D features are enormously expensive, making them risky propositions. Executives want to keep their jobs. Who doesn't? So they play safe and go with proven formulas guaranteed to generate cash. And it works. The results are solid. How to Train Your Dragon was a lot of fun, and the same goes for Despicable Me 2. Respectable. But not the ridiculous, Everest sized mountains of moolah gambling big can yield. Long shots that revolutionize the industry (JAWS, Star Wars) make careers only after bestowing ulcers. Who can handle that stress on a daily basis? George Lucas admitted he couldn't. Star Wars pushed so far out of the envelope Lucas came close to a complete nervous breakdown. He saw The Dark Side: gamble everything and you can lose big. Career destroying, gun barrel eating big. It's always been that way, and in a shaky economy, only more so. Thank god Star Wars was a huge success. It now sells $3 billion in toys every year. To top that off, we now know ulcers are caused by bacteria. So much for the stress connection. Anyway, Selick's article is interesting. He's looking for rescue from the Online Realm where data streams sparkle and unicorns frolic. He believes that there's more risk-taking going on in television than film, and I wouldn't disagree. Game of Thrones, Breaking Bad, Justified, Suits, Damages, Homeland... TV is enjoying a new golden age. Can't wait to see what Selick adds to it.